November 22, 2018 marks the 50th anniversary of one of The Beatles' most remarkable releases. 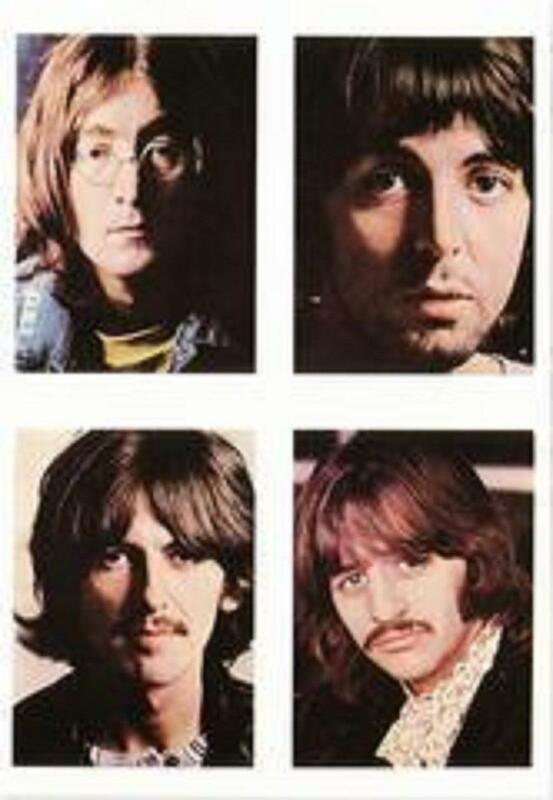 The two-album set was officially called THE BEATLES, but it became known forever after as The White Album. It was the top-selling of all The Beatles' albums and ranks #11 on the all-time album sales list. Emerging from what many called their three-album psychedelic period that produced Sgt. Pepper, Magical Mystery Tour and Yellow Submarine, The Beatles' White Album was a wildly diverse collection that included instant classics ("Back in the U.S.S.R", "While My Guitar Gently Weeps", "Dear Prudence", "Blackbird"), gentle ballads ("Mother Nature's Son", "I Will", "Julia"), raucous electric rock ("Helter Skelter", "Yer Blues") amusing ditties ("Honey Pie", "Savoy Truffle", "Rocky Raccoon"), and surprising experimental tracks ("Revolution #9"). The writing and performing styles of the four individual Beatles became distinct. Many Beatle fans and historians point to the White Album as the beginning of the break-up of the Beatles. In little over a year, the band would be dissolved. Join award-winning producer Paul Ingles for another one of his in-depth explorations of The Beatles' experience by joining THE WHITE ALBUM LISTENING PARTY. Ingles recalls being 12 years old in 1968 and listening with his best friend to this challenging and, at times, disturbing collection in the basement of his suburban Maryland home. "I knew I couldn't play this one on the family stereo upstairs," says Ingles. "A lot of the music seemed naughty, tortured and edgy." In an effort to re-create that listening experience, Ingles invited about a dozen Beatle fans into the studio to listen through to the album again and share both their memories and more current observations about the landmark music. Among the guests are Beatle author Steve Turner who shares the stories behind each of the White Album tracks. Also, a panel of musicians help listeners tune into the musicality of The Beatles, calling attention to a certain bass line here, a drum lick there, a production trick over there. In addition to Steve Turner, Paul's guest list includes musicians Jon Spurney, David Gans, Kristy Kruger, Douglas Grant, and Rob Martinez. KUNM radio personalities Scott MacNicholl, Luciano Urbano, Suzanne Kryder, and Travis Parkin join in as well. Of course, one hour isn't enough for the true Beatle conniseur, especially when it comes to the White Album. So you can listen to the full three-hour listening party here. For decades, The Beatles' Sgt. Pepper's Lonely Hearts Club Band has ranked highly on many All-Time Best Album lists. Celebrated as the first quasi-concept album in rock, fans and critics have long lauded the songcraft, the pioneering production sounds, and its colorful, now iconic, cover art. Some say it both reflected and drove the burgeoning youth culture through the "Summer of Love" in 1967. As the 1968 presidential candidates left their conventions and moved into the general election, the nation was watching to see what would happen. Would Richard Nixon, the Republican, hold onto his lead and become the 37th president? Could Hubert Humphrey, the Democrat, unite the party in time to give himself a chance to win? And what role would George Wallace, the candidate of the American Independent Party, have? Could he get enough votes to throw the election into the House?